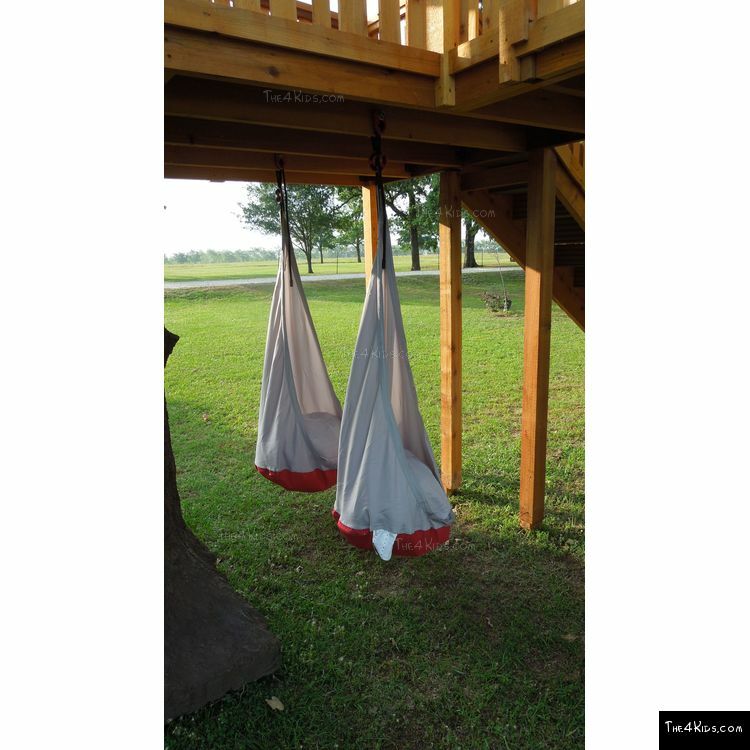 What kid wouldn't love a cool swing that wraps around her like magic? 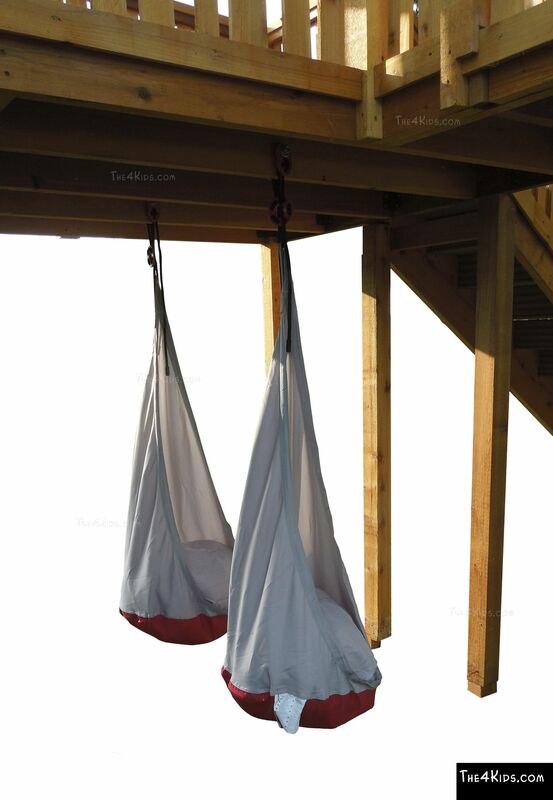 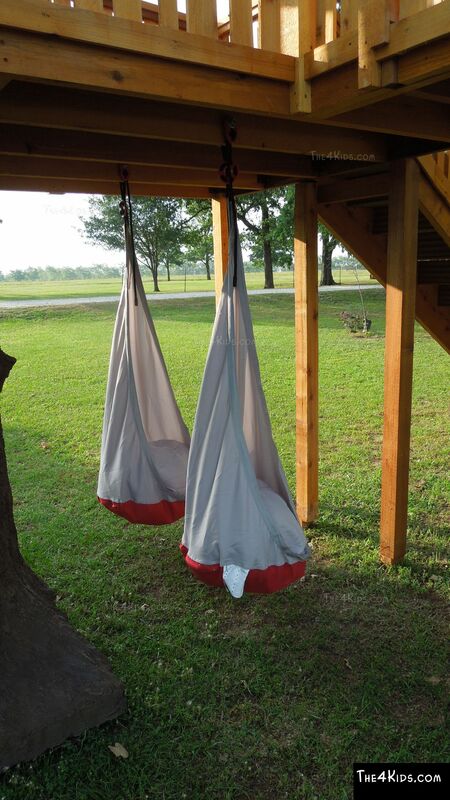 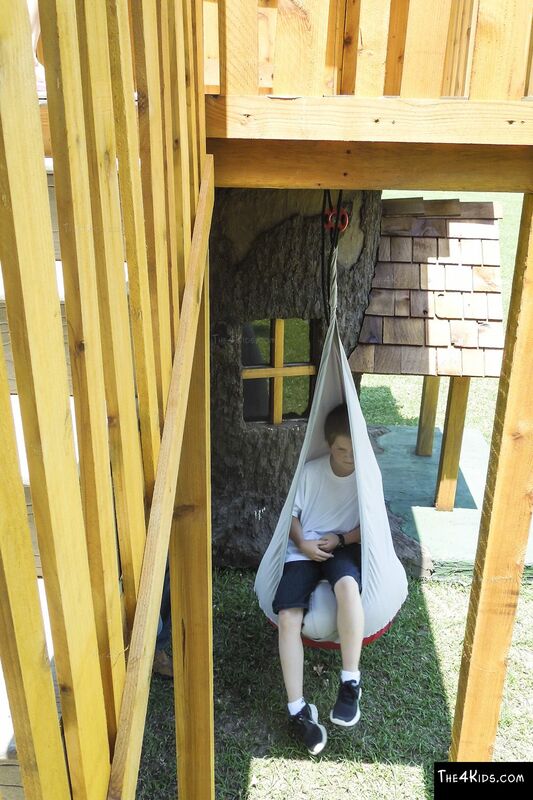 The 4 Kids' Cozy Swing invites a child to sit inside its tent like cocoon for an afternoon of reading, relaxing, or even sleeping. 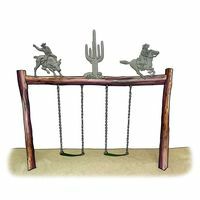 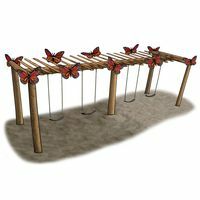 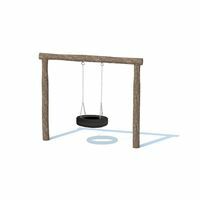 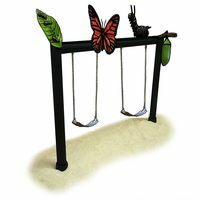 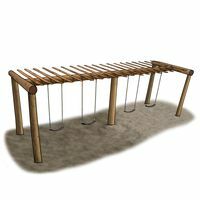 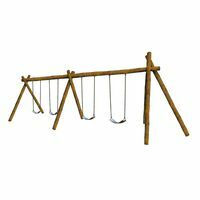 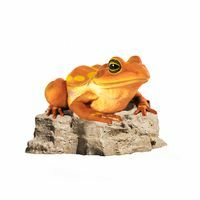 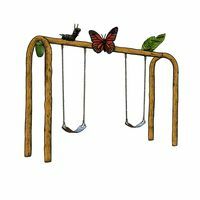 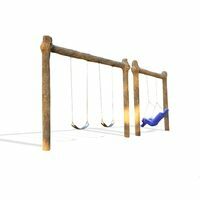 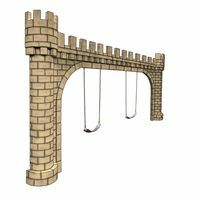 The swing, which is an exciting, charming accent to outdoor or indoor play sets, can be attached as part of any play area. 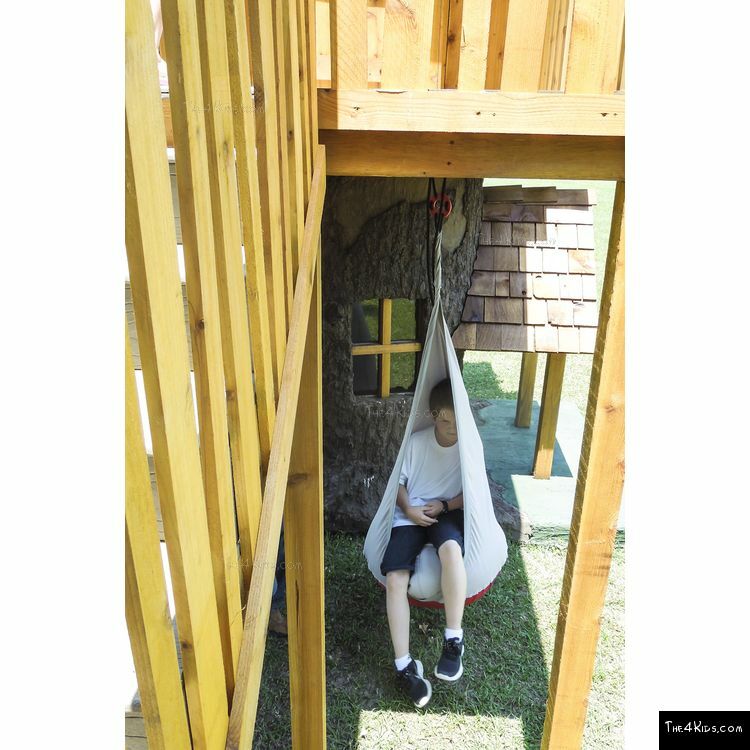 Imagine a swing like this installed at outdoor theme parks or fun centers, as part of a tree house, a made to order delight for children from 2 to 12 years old. 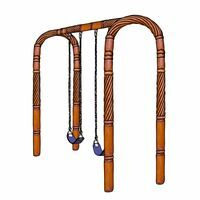 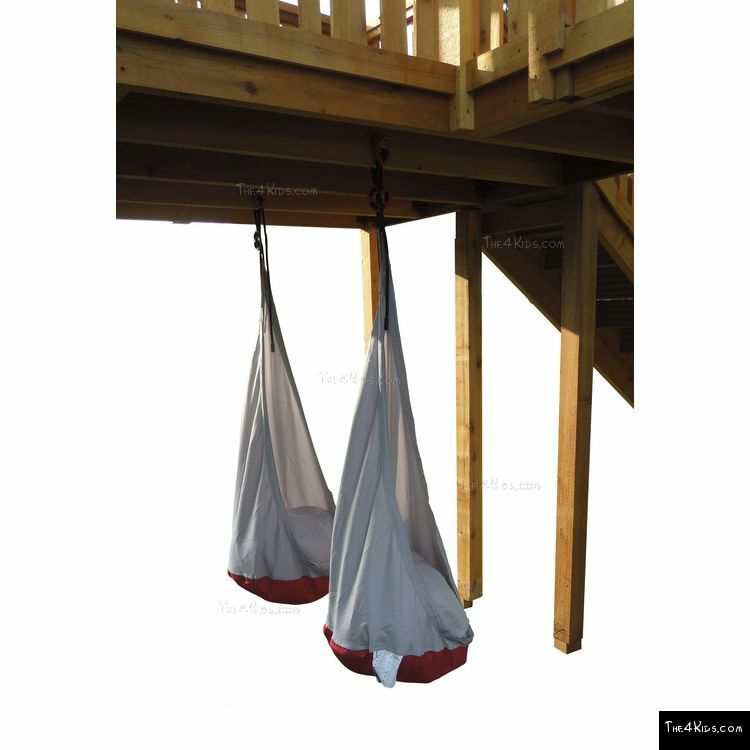 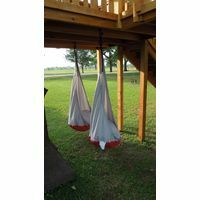 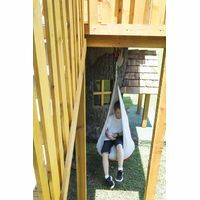 Easily attached everywhere, this swing is particularly appropriate for tree houses, play houses or other play structures, turning everyday into a play day.